As she gears up to embark on her world tour, Taylor Swift has announced the special guests for the European leg of ‘The 1989 World Tour’. The seven-time Grammy award winner as announced Vance Joy and James Bay for the European leg of ‘The 1989 World Tour’. More details on ‘The 1989 World Tour’, as well as the tour dates below.. The 1989 World Tour will kick off on 5 May 2015 in Tokyo, and will encompass eight countries and span four continents including North America, Europe, Australia and Asia. The European leg of The 1989 World Tour will start on 19 June 2015 in Germany at Lanxess Arena, Cologne - and will wrap in London on 27 June when Taylor headlines Barclaycard Presents British Summer Time Hyde Park 2015. 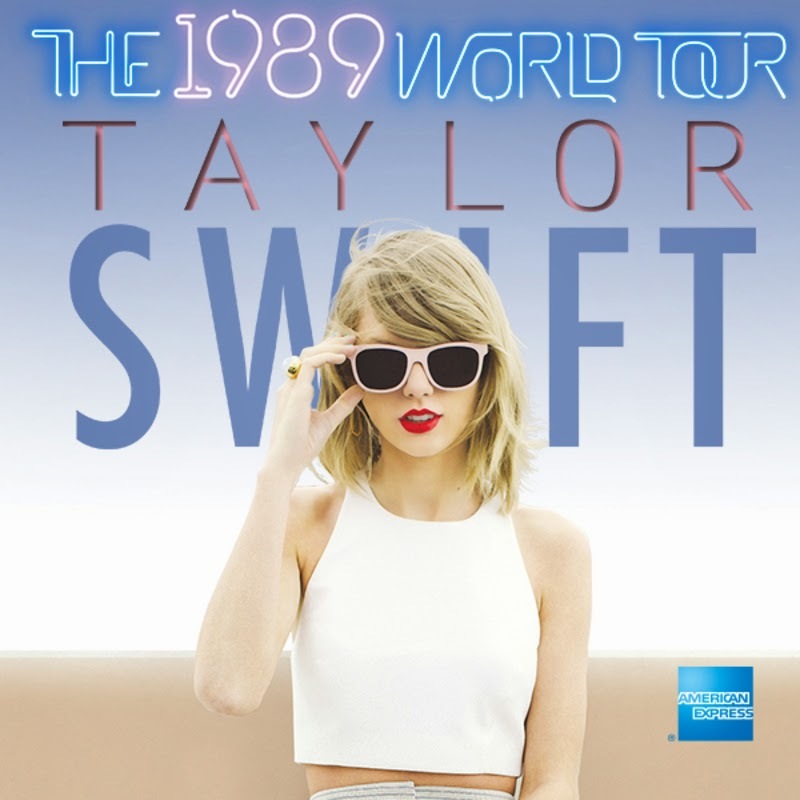 General ticketing and on-sale information forThe 1989 World Tour, including VIP packages, is available at TaylorSwift.com. Australian singer-songwriter Vance Joy, who is also the main support for all the North American dates of the tour, will be joining Taylor in the UK and Ireland for the Glasgow, Manchester and Dublin shows. While hotly tipped rising British star James Bay will be appearing with Taylor in Germany and The Netherlands on the Cologne and Amsterdam dates. 2015 is shaping up to be a landmark year for James Bay. The BRITs Critics’ Choice Award winner and BBC Sound Poll runner up appears in Ones to Watch lists across the board. His gravelled voice, personal emotive lyricism and infectious melodies have led to him become one of the most talked about new talents of the year and his hugely anticipated debut album, ‘Chaos and The Calm’ produced by Jacquire King is set for release March 23rd. Over the last year he’s been captivating audiences around the world, supporting acts like Hozier, Tom Odell and John Newman as well as playing his own sold out headline tour. Australian singer-songwriter Vance Joy proved himself a breakout artist of 2014 with the song ‘Riptide’ from his debut full-length album Dream Your Life Away. After Fearne Cotton claimed it as her song of the year it shot up to #7 on the singles charts, and has stayed on the chart for over 60 weeks. A 5x-platinum certified, top 10 smash in his native Australia, the track is certified 2x platinum in Sweden and Canada 1x Platinum in the USA, Ireland & Norway; gold in Austria, Germany, New Zealand and in the United Kingdom. In September 2014 his debut album Dream Your Life Away debuted at #20 in the UK, #1 in Australia, #2 in Canada, #17 in the USA. The second single from the album, ‘Mess Is Mine,’ is already gold in Australia and currently ascending the Alternative radio charts in the USA & Canada. Multi-million selling and global superstar Taylor Swift is the only artist in history to have three albums sell a million or more copies in the US in their debut week. Her critically-acclaimed No.1 selling fifth studio album 1989 is the highest selling release in the US since 2002 and was the top selling album there in 2014. 1989 has sold over six million albums worldwide, having debuted at No. 1 in over 97 countries including the UK, where it is now certified platinum and was the highest selling album of 2014 by an International artist. A seven-time Grammy® winner and the youngest winner in history of the music industry's highest honour, the Grammy® Award for Album of the Year, Taylor Swift has career record sales in excess of 40 million albums and 130 million song downloads, and is one of the top 5 selling digital music artists worldwide. Taylor has an album on Rolling Stone's prestigious The 50 Greatest Albums of All Time (by women) list, Time magazine has named her one of the 100 Most Influential People in the world, and she is Billboard's youngest-ever Woman of the Year and the only artist to have been awarded this honour twice.